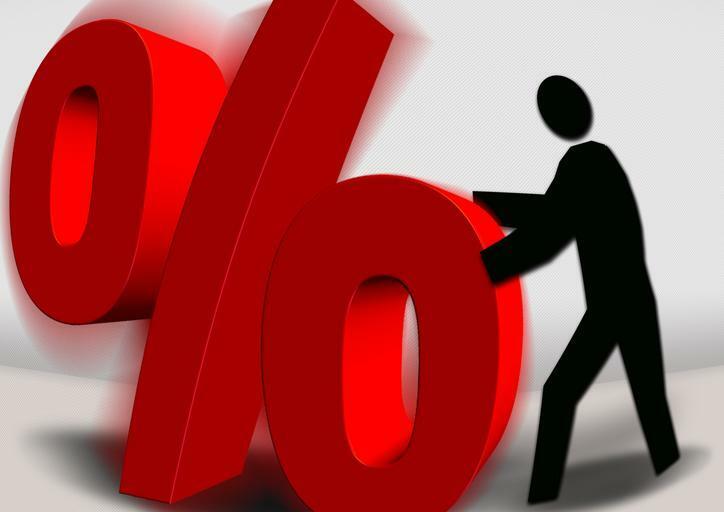 So, why do we use percentages? The assumption is that we use a base ten numbering system because we have ten fingers. You know that in order to add fractions together, you need to find a common denominator. Because of this, fractions are kind of a pain. Enter decimals and percentages. Dividing things into 10 parts, doesn't seem to be enough, and dividing things into 1000 parts seems a bit excessive. So, we decided to divide things into 100 parts. 100% = 1. Want to get a definition from Webster? We use percentages in a lot of different things. Your score on homework or on a test is usually given as a percent. If it's not, then the grade you get is based on a range like from 90 to 100% is an A. They come up when figuring odds or comparing almost anything that can be digitally converted. So to convert into a percent, divide the denominator into the numerator to get a decimal. Keep in mind denominator and down both begin with a d, the bottom part of a fraction is the denominator. Now that you have a decimal, move the decimal point 2 places to the right (you want to know how many hundredths there are) and add the % sign. To convert from a % to a decimal, reverse the process. Move the decimal two places to the left and remove the % sign. To convert it to a fraction put the number over 100 and remove the % sign. So 38% is the same as 38/100, or .38. You should spend some time understanding %, if you haven't already. It keeps popping up in everything from the arts to science. You also see it whenever you're shopping - 15% off, this week only. Like so many names, this comes from the latin Per Centum which means 100. Isn't it a wonder that latin is a dead language but we still use it in to derive so many English words. We could have used the word hundreds and saved everyone a log of confusion. Where did we get the word hundred? The best I could find out seemed to link it to the Old English word hund.